The Asus OnHub SRT-AC1900 Dual Band router is in town. It’s a Google follow-up to the TP-Link OnHub router that was released just a couple of months ago. What’s the difference between the two OnHubs? Well, not a whole lot (as far as we know right now). But what we do know is that the Asus OnHub has a feature called ‘Wave Control’, which lets you wave your hand over the top of the router whenever there is a Wi-Fi device that needs a wireless speed boost. 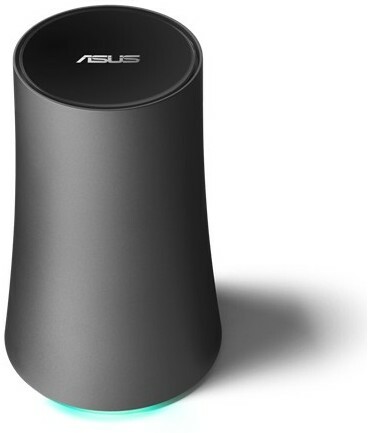 Like the first OnHub, the Asus SRT-AC1900 is designed to be as hands-off as possible. It pretty much looks after itself with updates both firmware and app updates all done automatically. The OnHub works out the best time to update so that it doesn’t impact your normal router usage. Google have announced a firmware update in the next few weeks that will make the antennas more intelligent. They will be able to direct beamwidth in the direction of clients wherever they are in the home. Data rates combined over Dual Band totaling up to 1,900Mbps. Excellent for streaming, locally and online. Also good for shifting large files around the home or if multiple users are active on the wifi at the same time. There are 7 antennas on board. 6 (with 2 radios 2.4GHz & 5GHz) are for the normal wifi. There is a separate antenna and radio, that is only used for monitoring wifi signals in the area around the OnHub. Ok, so you will unlikely have another wifi broadcaster in your home, but your neighbors probably will…especially if you live in a built up area. This antenna actively monitors the local area for wifi signal and automatically moved the wireless bands onto a channels that are uncongested, improving the performance of wifi. The antennas are arranged in a circular fashion which compliments the cylindrical shape of the router, enhancing wifi coverage. By waving your hand over the top of the SRT-AC1900, you can give priority to devices that require wifi the most, at that time. So if you are streaming a movie with a tablet, you can quickly give it priority by waving your hand over the top of the OnHub. Kind of like giving Quality of Service priority without having to make any configurations! Firmware and security are updated automatically when the network is quiet. Easy management with the Google On app available from the Play Store for Android and available for iOS. The On app lets you manage your network, test your Internet connectivity and display network traffic stats. There is a USB 3.0 port and Bluetooth connectivity as well as 1x WAN & LAN Ethernet port for wired connections.